The FD was Europe's most sold disc model 2012, a true crowd favorite! It's Discmania's first true fairway driver and thanks to it's predictability and neutral flight path this disc is very easy to learn and even more fun to master! This LadyLine version is especially great for beginners and for those with lower arm speed, thanks to it's light weight and exceptional glide. 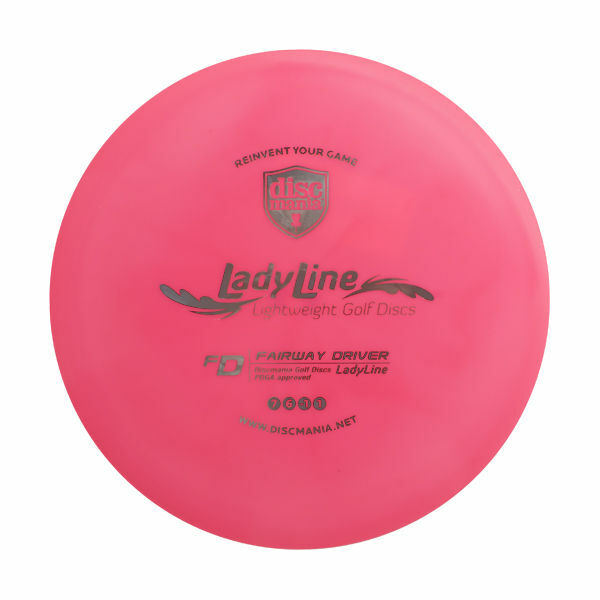 All LadyLine discs come with easy-to-recognize pink color. All LadyLine FD's weigh 150grams.